Tiruchanoor, 8 November 2018: The annual Karthika Brahmotsavams of Sri Padmavathi Devi Ammavaru in Tiruchanoor will be observed from December 4 to 12 in a grand manner, said, Tirupati JEO P Bhaskar. 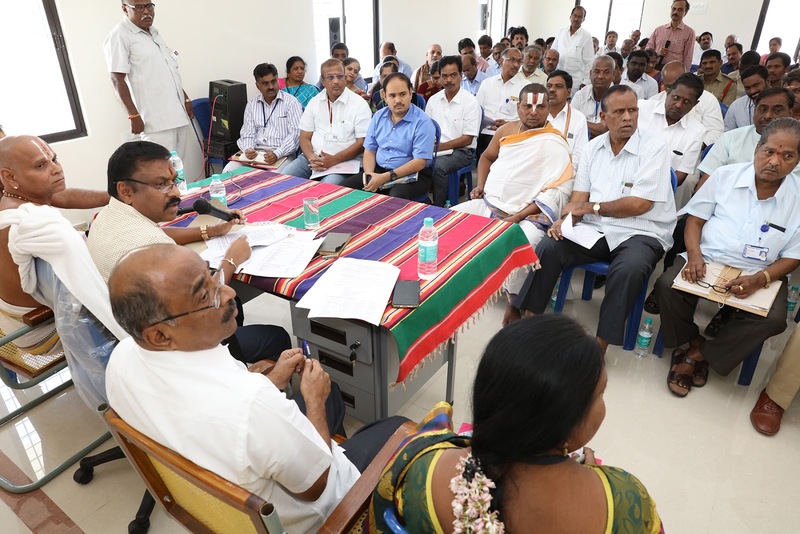 During the review meeting in the new office building meeting hall in Tiruchanoor on Thursday, the JEO directed all the HoDs to complete the arrangements for the big fete by November 30. All the civil, electrical and other works should complete by this month end. The electrical illuminations should be grand as was done during the recent brahmotsavams at Tirumala and similarly the floral decorations should also be unique", he instructed the concerned HoDs. Later he said, the Kalabrindams and Bhajan Troupes who will perform before Vahana Sevas should also be exceptional. Last year, they enthralled devotees with their unique art forms. This year, invite expert artists from other states during important vahanams like Gaja and Garuda sevas, he directed HDPP Chief Ramana Prasad. 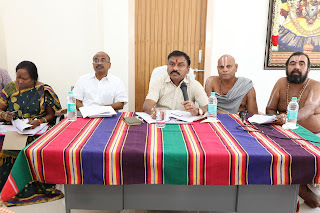 He directed the Publicity Wing and SVBC to release press notes to media and promos respectively and give wide publicity so that more number of devotees take part in this nine day festival. The JEO instructed VGO Ashok Kumar Goud and Temple DyEO Smt Jhansi Rani to prepare an indent of Srivari Seva Volunteers and deputation staffs respectively for the occasion. He also later reviewed on the arrangements to be made by Annaprasadam, Forest, Medical and Health wings and other departments. Chandra Sekhar Reddy and other HoDs were also present.